Tant Saree is a traditional style of Bengal saree popularly worn by women in West Bengal, India. 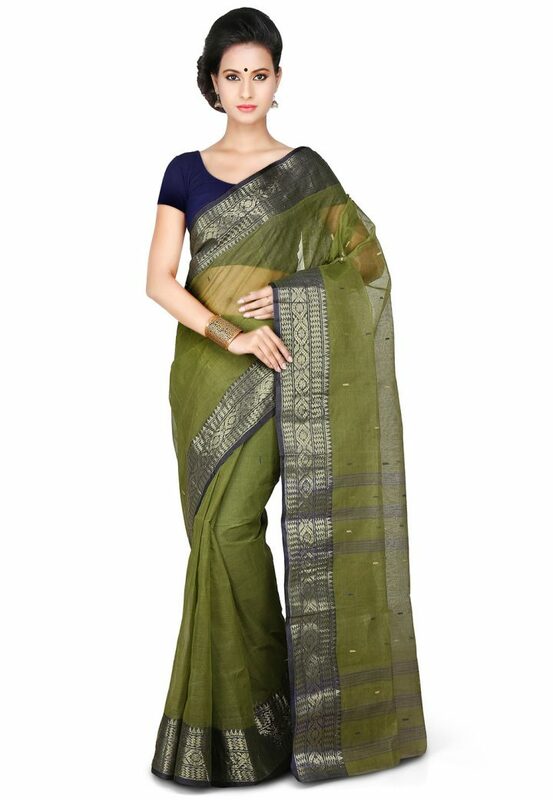 Woven in cotton threads, these sarees are light in weight with a bit of sheer factor. This type of Saree is manufactured by weavers across West Bengal in India and in Bangladesh. Places like Murshidabad and Hooghly district of West Bengal and Tangail in Bangladesh are the hotspots of Tant Saree weaving. These Sarees are economical with a starting price of around Rs. 300 (approx. US$5). The low cost and the comfort of Cotton fabric makes this Saree perfect for daily wear. Other than, Taant cotton sarees, there are a wide range of Bengal sarees including Garad silk, Dhakai Jamdanai, Baluchari sarees, Kantha stitch, Fulia cotton sarees and Shantipur cotton sarees. The Jamdani Tanth saree flourished during the Mughal era. It became so famous around the British rule that the British government tried to minimize its production to save their textile industry. After the end of British rule in India, many skilled weavers settled in and around Bangladesh and West Bengal with help from the Government. These weavers continued weaving this style of saree and today, Tant sarees are one of the most popular styles of Bengal sarees. 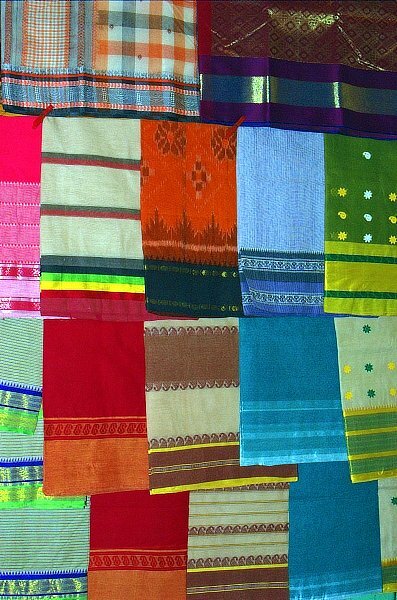 The weaving of Tant Sarees is done in the towns of West Bengal, India and Bangladesh. The cotton thread is intricately woven into a Tant Saree by expert craftsmen. The borders are woven a little thick, making it less resistant to getting worn out. 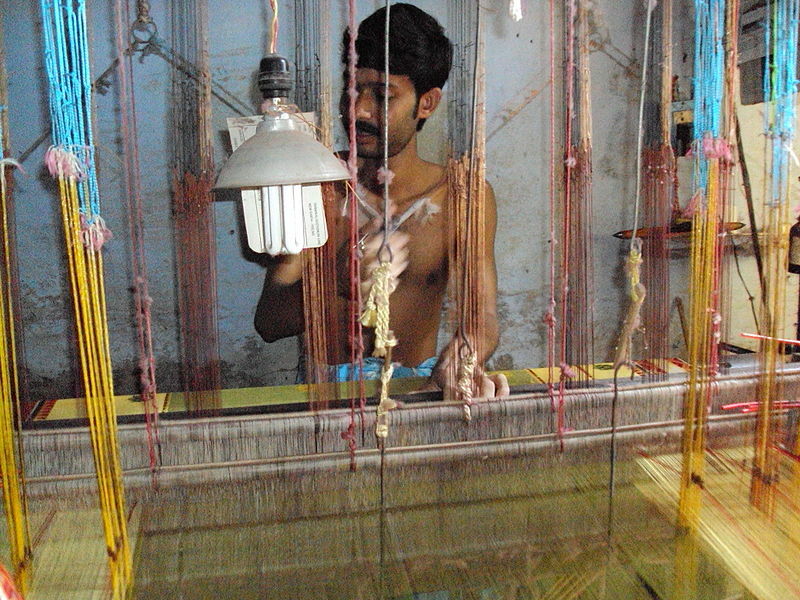 Traditionally, handlooms were used by the weavers to create these sarees, but now it has been largely replaced by power looms. A Tant Saree is 6 meter long and not 5.5 meter like the usual Saree length. Typically, a Tant saree comes in pastel shades with beautiful thick borders. Florals and Paisley motifs are often used on a Tant Saree. Hand-painted and embroidered motifs are also created to accentuate the look of these sarees. 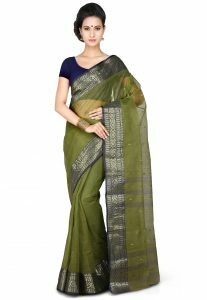 In spite of the evolution of new saree deigns like Georgette Sarees and Net Sarees, weavers of Tant saree of Bengal have refashioned the designs of these saree drapes, keeping intact the exquisiteness and grace of these Bengal handloom sarees. Mamata Banerjee, the Chief Minister of West Bengal has been a long time admirer of the Tant Sarees. She regularly wears Tant Sarees bought from Dhaniakhali in West Bengal. Going beyond the political scenario, Bollywood actresses wear Bengal cotton sarees for festive occasions like Durga Puja. Bipasha Basu sported Tant cotton saree in the Bengali movie ‘Shob Charitro Kalponik’, on the other hand Rani Mukherjee and Konkona Sen Sharma are also famous for their style statements in Tant cotton sarees. And Soha Ali Khan inherited her fascination for Tant cotton sarees from her mother Sharmila Tagore. Before washing the Tant Saree for the first time, it should be soaked in warm water mixed with rock salt. This ensures less color bleeding in the subsequent washes. Also, with the use of Charak it becomes as good as new. To ensure longevity, only mild detergent should be used and it should not be dried in direct sunlight.